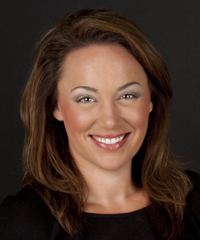 What are Four Common Mistakes California Residents Make during the Estate Planning Process? If you’re in the process of creating a will or estate plan, then you’re avoiding what is the most dangerous estate planning mistake—failing to create an estate plan at all. However, there are other important errors to avoid when creating a plan for what should happen to your assets after you pass. 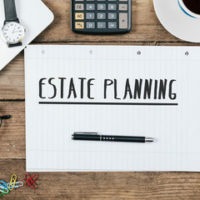 Read on to learn about four mistakes to avoid when creating an estate plan, and speak with a skilled San Gabriel Valley estate planning lawyer with any additional questions. What are common estate planning errors? Leaving large assets or sums of money to heirs outright: You might assume that, by listing an heir as the beneficiary on your bank account or title to your home, you’re saving them from the time and expense of waiting for the completion of the probate process to receive the asset. However, leaving large items to heirs without restrictions on how the asset should be used, or without considering the tax consequences of such a large gift, could result in trouble for the recipient, especially one who is young and unskilled with managing money. Failing to consider the potential benefits of a trust: A trust can help heirs receive the benefits of the assets you’ve left without the trouble of probate, as well as help you control how heirs use the assets you’ve provided, all while possibly side-stepping certain taxes that might otherwise be levied on these gifts. Failing to create a living will or power of attorney: If you’re in good health, it can be difficult to imagine circumstances under which you’d be unable to manage your own affairs. But serious accidents can happen at any time, and having a power of attorney or living will can provide guidance to your loved ones on who should make decisions on your behalf or how you’d like your medical care to be managed when you’re unable to speak for yourself. Failing to review and update your will periodically: Life events, such as divorce or personal conflicts, can bring changes to whom you choose to benefit through your will. Even the sale of property or a change in how your assets are structured can affect your will. For this reason, it’s important to periodically review your estate plan with a seasoned attorney and make changes that ensure your will is an accurate representation of your desires. For knowledgeable, professional, and effective legal guidance in creating an estate plan in Southern California, contact the Diamond Bar estate planning attorneys at Blasser Law for a consultation at 909-843-6363.